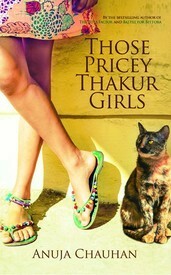 So last night, I finished reading Anuja Chauhan’s latest book — Those Pricey Thakur Girls. It was infinitely better than Battle for Bittora, but couldn’t recreate that amazing post The Zoya Factor warm feeling. Chauhan once again manages to capture the nuances of everyday ‘colourful’ people very insightfully — the Parsi receptionist, the fame-hungry eye-witness, the ‘stud’ naval officer. But sometimes it just felt like Chauhan was really stuffing the book like a turkey — you barely have a second to appreciate her ability to artfully draw out specific characteristics before she packs another punch. Dylan Singh Shekhawat is no Nikhil Khoda, but he does manage to occupy a tiny bit of my heart. Debjani, however, seems like she’s desperately trying to ‘find herself’ throughout the book. I get the feeling that Debjani is a weak shadow of who Chauhan wants her to be. Anjini, who is entertaining, seems strangely out of place; like a prop placed to goad me into evaluating Debjani’s character and mannerisms by constantly forcing the ‘compare and contrast’ element. I wish Chauhan would have developed Anjini’s own story a little more seriously — she seems like a great character to work with, but her story gets a very textbook resolution in the end without any actual development in the middle. 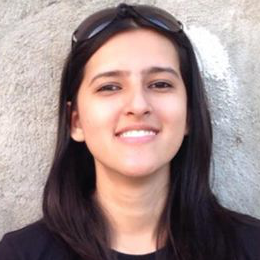 Eshwari is plain strange. She doesn’t for a moment behave like a school-girl, there’s no explanation for her so called ‘self-confidence’ that’s strangely unshakeable throughout the book. The adolescence angle isn’t played up consistently, so it half feels like two different characters. Binodini is a character that I love. She’s bindaas but insecure at the same time. Her relationship with her husband and the implications it has on the family is interesting, and is touched on at the right time. Those Pricey Thakur Girls definitely seems like it’s written with the sole intention of being turned into a movie — I didn’t get that feeling with TZF. I hate that this book is trying so hard — but it does get it right in a few places.